We all make grand plans as the we see in another New Year – drink less, eat more veg and join a gym. 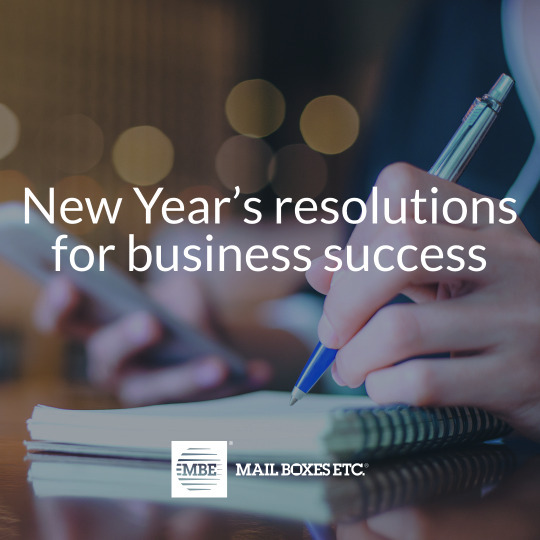 As business owners, it is a great time to reflect on your previous year and think of some goals for the coming year. Here are our top 5 tips. Audit your current marketing channels, what is working? There is a lot to do when running a business – accounts, marketing, staff training, planning, stock, reporting – the list becomes endless. Rather than trying to take this all on yourself, look at ways to delegate tasks to existing staff or external companies. This will move your attention away from the small stuff, and will allow you to spend time on growing your business. Put some time aside to evaluate how your business performed last year – sales, retained customers, marketing outcomes, advertising. Use this as a basis to set some realistic goals for the coming year. If they’re big goals, break them down and make them bite-sized, so they are achievable. Make sure you book time in your diary for a review in a few months’ time to ensure you are staying on track. If you are run down and stressed out, this will show in your business. As difficult as it can be to take a step back, it is important to recharge and refresh yourself. A healthy work-life balance is important to achieve. Switch off your mobile from time-to-time. Whilst it is great being connected, the temptation is there to work late. Switch it off and spent some time with friends and family instead. Take a lunch-break. Even if this is at 3pm in a local coffee shop. Allow yourself time to take a break from your daily tasks. You’ll feel refreshed as a result. Finally, don’t forget you can always pop in to see your local Mail Boxes Etc. team and discover what we can do to help your business grow.